Welcome to Recreation Department registration instruction and policies page! This page contains information on how to register for classes as well as wait list, registration, refund and late policies. If you are having trouble registering, or if you have questions concerning classes, contact the Recreation Department at recreation@takomaparkmd.gov or 301-891-7290. Access ActiveNet and select the “Registration” link. If creating a new family account, complete all necessary information, all boxes marked with an asterisk are required. Select “Submit” or enter other family members into system at this time. Upon logging in you will be directed to your “Account Options” page where you can select from a variety of items. Select “Register for Activities” next. Use the search criteria to locate the program you want to register for. Choose the program you desire. Make sure you select the correct session (if applicable). Review class information scroll down and select “Add to Cart”. Choose the participant who is registering for the class. Then select “Next”. Answer all Activity Questions and select “Next”. Double check you are registering for the right class and use “Proceed to Shopping Cart” to checkout. You can also register another family member for the same activity or continue shopping. Review items in your shopping cart and select “Proceed to Checkout”. Review all waivers, place initials in box and check acknowledge box, select “Next”. Choose your card type, enter credit card number, the security code on back of card, select the expiration date and select “Pay and Finish”. Print receipt for your records or view previous transaction and class schedule from the “Account Options” page. Effective May 2, 2016 customers are responsible for absorbing a 3.21% online credit card fee, the previous rate is 2.99%. Registration is first-come first serve with walk-in registrations taking precedence over mail-in registrations. Please list ‘program name’ and ‘participants name’ on front of check. Register for recreation classes 24 hours a day, 7 days a week. Request a park or recreation facility for an event. Receive class confirmation via email. View and print class schedules. Purchase memberships to Gym and Weight Room. The Recreation Department reserves the right to cancel any program/class due to insufficient enrollment or to substitute teachers without participant notification. 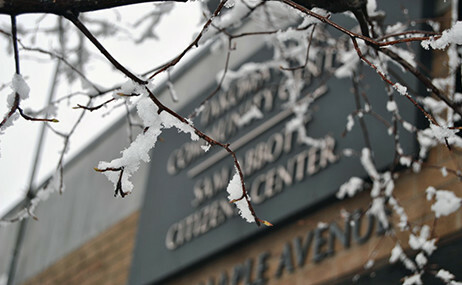 Classes may be canceled on holidays, school vacations, snow days or any other dates noted in the City Guide. If schools close midday due to a weather or other emergency, children’s classes will also be canceled. Every attempt will be made to reschedule classes canceled due to weather emergencies, but refunds cannot be guaranteed. In general, if the Federal Government closes or has a delayed opening in the morning, the City of Takoma Park does the same. Classes that begin before a delayed opening are usually canceled. Morning and Afternoon Addition and After the Bell programs follow the MCPS declarations. If there is a 2 hour delay in the morning, Morning Addition starts at 9:00 AM. Resident rates apply to those persons who reside in, pay taxes to and are eligible to vote in the City of Takoma Park elections (if 16 years of age or older). 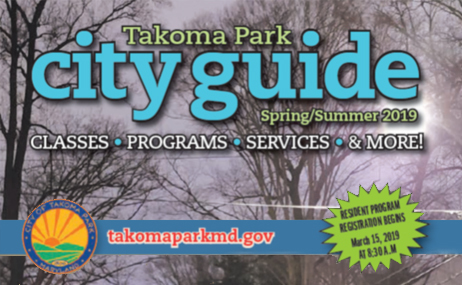 Non-resident rates apply to those who live outside of Takoma Park or those who have a Takoma Park mailing address but do not pay taxes to the City. Commercial/Business rate will be applied to any rental held for business purposes, regardless of where the patron or business is located. When registering for a class or conducting business as a Takoma Park resident, proof is required in the form of a state issued photo ID or current lease with a valid Takoma Park address. The City of Takoma Park Recreation Department implements the following late pick-up policy for all child care program participants. A fee of $10.00 will be assessed for every 15 minutes after the scheduled pick-up time for each participant up to 1 hour or for a total of $40.00. Payment must be in cash at the time of pick-up and paid directly to the staff member assigned. One hour after the scheduled pick-up time, program staff will bring your child to the Takoma Park Police Department, where parent or guardian can pick-up their child. Registrants assume the risk of changes in personal affairs or health. Refunds will be approved with written/electronic notification received seven business days prior to scheduled start of program/reservation. A $15.00 administrative fee will be deducted from the total refund and may take up to 30 days to receive. Registrants may choose to receive a credit for the remaining amount which may be used for another program. Credits cannot be transferred. Refunds after the program/reservation has begun will be considered only with medical verification – no exceptions. No refund after the program has ended. For the security of our participants, we are only authorized to provide registration and payment information to those listed on the family account. In the event that a program has more interest than available space, we will keep a waiting list. Individuals on the waiting list will be accommodated on a first-come, first-served basis. In the event that another class is created, individuals from the waiting list will be contacted. You can register for camps, classes and request rentals through ActiveNet. Register online with Takoma Park's ActiveNet. Bad weather? Call the The Recreation Department’s Inclement Weather Line to check for weather closure information. Call 301-891-7101 ext. 5605 to check for program cancellations due to weather. The 2019 Spring/Summer City Guide is here! Join a sports league, sign up for a class, or find out about family friendly events... it's all in the City Guide! View the City Guide here!